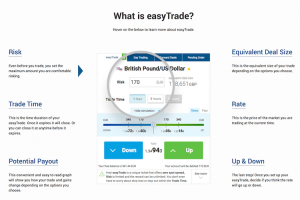 On the brink of ESMA applying their new trading ban to reduce maximum leverage on CFDs, easyMarkets launched their new trading product, easyTrade, that not only manages to circumvent the recent ESMA ban, but offers an innovative, simpler way of trading for retail investors. In June 2018, The European Securities and Markets Authority (ESMA) formally announced the publication of their new measures on the provision of contracts for difference (CFDs) and binary options to retail traders. The measures were published in the Official Journal of the European Union (OJ) and have already been applied from 2 July 2018 for binary options and will be in effect 1 August 2018 for CFDs. The marketing, distribution and sale of binary options will now be prohibited and there will be a restriction on the marketing, distribution and sale of CFDs. This restriction specifically consists of leverage limits on opening positions, a point that easyMarkets managed to circumvent with their new launch. easyMarkets, a well-established financial service provider that offers CFD investment and trading across global markets, claim this new product is an innovation in trading that allows their clients to trade with no margin requirements, high leverage and featuring zero spreads. By breaking down the trading process into 3 simple steps, they not only simplify trading for new market investors, but offer experienced traders even further benefits. They now have the ability to quickly place a trade when markets move, whereas new traders can now trade with no distractions or extra features that may be unnecessary at their experience level. When the new ESMA ban was initially announced, brokers across Europe were all forced to immediately adjust to this new ban. easyMarkets saw it as an opportunity to release a new product, all the while expressing their continued support for such initiatives. easyMarkets Head of Risk Management, Evdokia Pitsilidou, claims “We not only support this initiative, but as an organization promote risk management, trader education and responsible investing practices through the service and tolls we provide our clients”. Next articleTrading Forex Currencies As a Legitimate Business – How About Letting the Robots Trade For You?